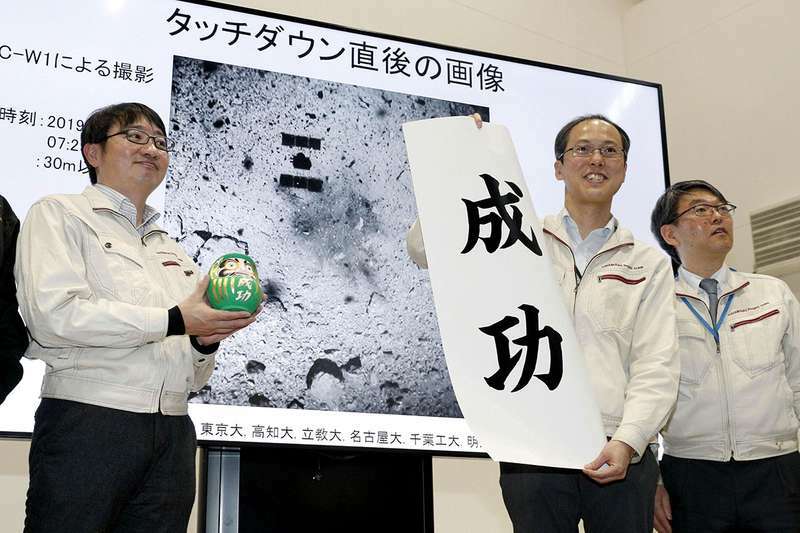 'Japan’s Hayabusa 2 spacecraft has successfully landed on the asteroid Ryugu and collected the first sample from its surface. 'I love how this little ship is actually asteroid mining. Next up, collecting samples 2 and 3, and 3 is gonna be after they blow a hole in the asteroid.